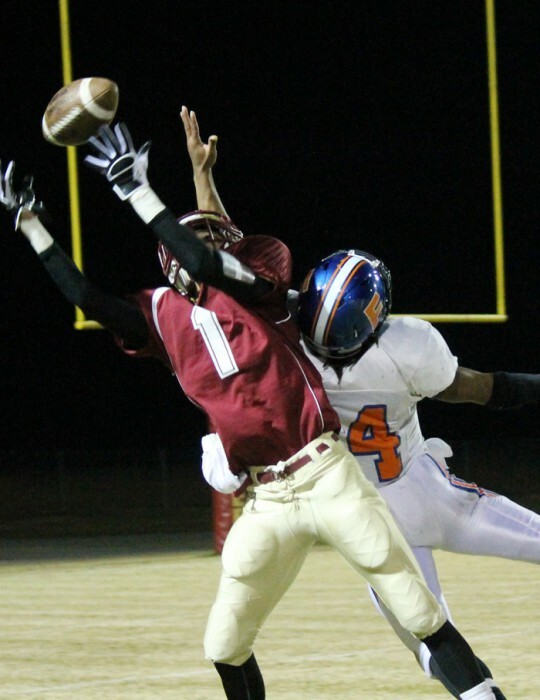 NorthEscambia.com will have live updates tonight from the Northview at Liberty County game. There were no serious injuries reported in a three vehicle accident involving a school bus this morning on Pine Forest Road near Mandeville Lane, just north Longleaf Drive. According to the Florida Highway Patrol, a school bus with 38 students on board was stopped at 7:05 a.m. with red signals flashing to load passengers. 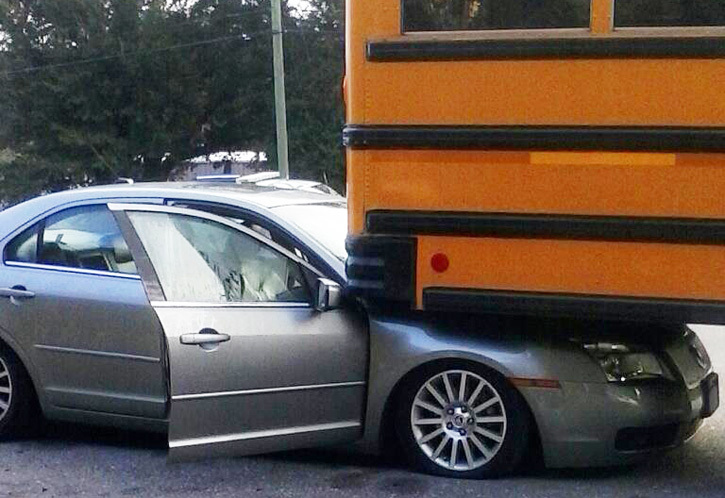 A 2009 Mercury driven by 48-year old Tammy P. Franko of Pensacola was properly stopped behind the bus. 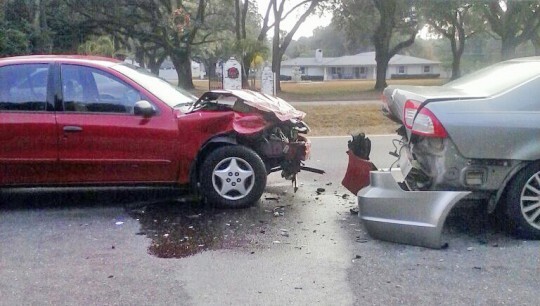 Marshall C. Fundaburk, age 23 of Pensacola, was operating his vehicle above the posted speed limit and “failing to maintain awareness of the roadway,” according to a FHP report, when he slammed his 2003 Chevrolet car under the back of Franko’s vehicle and pushed it under the bus. School district officials contacted the parents of the involved students and arranged for a second bus to transport the students to Beulah Elementary School. Fundaburk was charged with failure to use due care, according to the FHP. 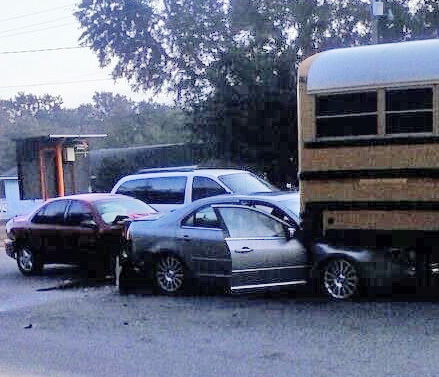 Pictured: There were no serious injuries reported in this three vehicle crash involving a school bus Friday morning on Pine Forest Road. Reader submitted photos for NorthEscambia.com, click to enlarge. The Escambia County Department of Solid Waste will host a Regional Roundup Saturday from 8 a.m. until noon at Tate High School. The Regional Roundup event will provide an opportunity to residents to dispose of electronics, household hazardous waste, shoes and up to four tires per vehicle for free of charge. Businesses and residents can dispose of all types of clean, dry, recyclable electronics including computers, monitors and terminals, keyboards, mice, printers, TVs, copiers, gaming systems, remotes, fax machines, VCRs, stereo systems, cell phones and telephones. Electronics that have been gutted will not be accepted. Businesses with large amounts of electronics should call the Department of Solid Waste Management to make an appointment to dispose of those items at the Perdido Landfill. Appliances, including fans and air conditioners, are not accepted. Household Hazardous Waste items can cause injury if handled improperly. These items will usually have a warning or cautionary statement on their labels, such as flammable, corrosive, poison or toxic and include items such as swimming pool chemicals, cleaners, drain openers, paint and paint products, fuels, gases, lawn and garden chemicals, aerosol cans and automotive repair and maintenance products. Shoes are also collected for the Soles4Souls program, which accepts donated shoes for the less fortunate. Donated shoes should be bound together with a rubber band. All electronic, household hazardous waste and tires are recycled. For more information about Regional Roundup events, proper disposal of waste or to make an appointment for a business electronics drop-off, contact the Escambia County Department of Solid Waste Management at (850) 937-2160. A former Marine was found guilty Thursday of the December 2011 murder of an Escambia County teen. 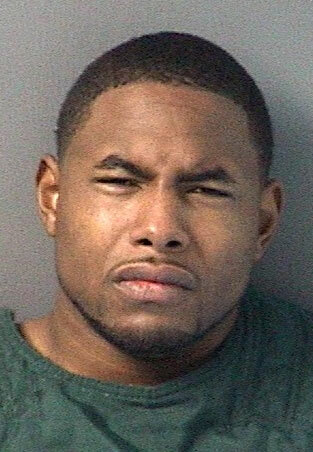 Michael Palmer Davis, 26, was convicted of the lesser charge of manslaughter; he had been charged with second degree murder for the shooting death of Alonzo Dewayne Knight. pronounced dead at the scene from a gunshot wound. Authorities said a friend of Davis got into argument with several teenagers. During the argument, Davis fired a shot from 142 feet away, striking and killing Knight. Davis’ attorney argued that he was trying to break up the situation and did not actually intend to shoot anyone. As a trained Marine, the defense argued, he thought the shot was properly fired and he never thought a shot fired at the ground would hit someone. Davis faces up to 30 years in prison when he is sentenced in January. 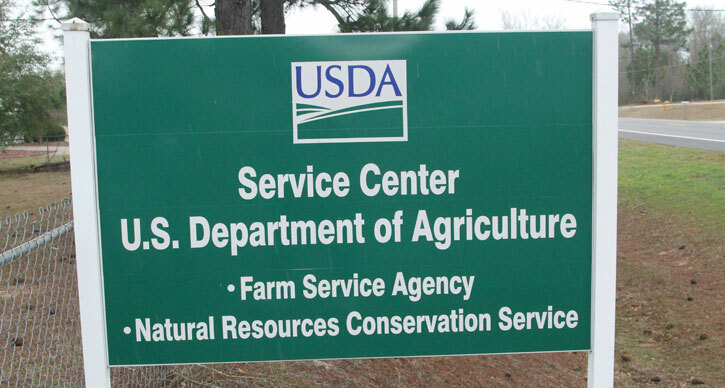 Despite a public and local government outcry, the USDA Farm Services Agency Office in Molino is now closed. The Molino FSA Office administered farm commodities, crop insurance, credit, environmental conservation and emergency assistance for farmers and ranchers in Escambia County. With the closure of the office, farmers will be forced to drive to another office like Milton or Brewton for FSA services. On May 29 the Florida Farm Service Agency received approval from Secretary of Agriculture Tom Vilsack to proceed with the implementation of county office consolidation plan, including closure of six agency offices. 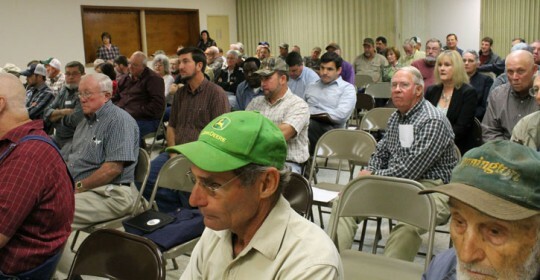 In February, farmers and producers from across Escambia County met in Molino with Tim Manning, FSA state executive director, with pleas to keep the office open. Manning (pictured) said that offices with two or less employees and offices that were located within 20 miles of another office were targeted for closure. Manning said that on December 23, 2011, the day chosen as a “snapshot” of the Molino office, it met both criteria for closure. But multiple farmers and producers were quick to point out that it is more than 20 miles to drive from Molino, or areas like Walnut Hill or Nokomis, to the FSA office in Milton because of limited routes across the Escambia River. And the criteria for two or fewer employees, many producers said, was met only because a third employee in the office had recently retired. 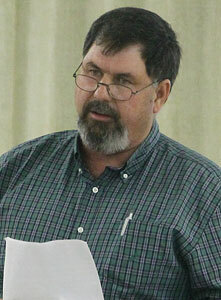 Mike Godwin of Walnut Hill suggested during the meeting that perhaps instead of closing the Molino office, the Farm Service Agency should use it as a nationwide model of doing more with less since the number of payments processed per employee is now the highest in the state. The major savings from closing the Molino Farm Service Agency will be about $16,000 per year in rent to the Escambia County Farm Bureau for office space along with telephone service. All other utilities are included in the monthly rent. Ward, speaking on behalf of the Farm Bureau Board, told state FSA directors in February that the it’s no secret at the Farm Bureau wanted to keep the $16,000 in annual rent flowing. He said the money is returned to the community each year through a variety of community organizations — most dealing with children — like the Northview and Ernest Ward FFA chapters, the Escambia County Extension Service for children’s projects, the Molino Park Elementary PTA and Bratt Elementary School. 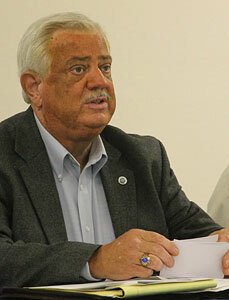 The Escambia County Commission also took a stance against the closure, passing a resolution forwarded to FSA officials and members of the local Congressional delegation. “The Escambia County FSA office is a vital resource to address the claims and concerns of citizens in Escambia County,” the county’s resolution stated. Beginning today, all FSA program services for Escambia County will be provided by the Santa Rosa County FSA office unless a producer has requested their records transferred to another county. The Santa Rosa County FSA office is located at 6277 Dogwood Drive in Milton, and the phone number is (850) 623-2411. Pictured top: Dozens of farmers and producers packed a meeting about the Molino FSA Office in February at Highland Baptist Church in Molino. 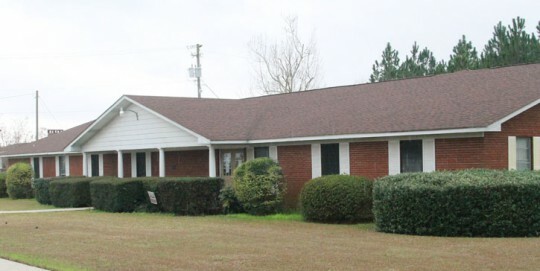 Pictured below: The Farm Service Agency rented office space in this, the Farm Bureau Building on Highway 97 in Molino. NorthEscambia.com file photos, click to enlarge. 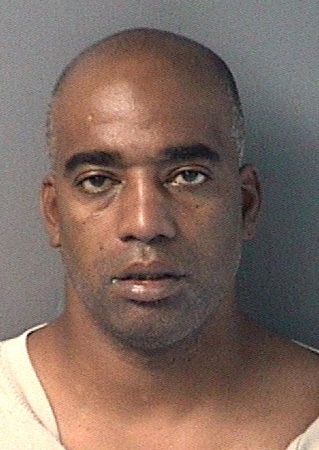 An Escambia County man arrested as part of the undercover operation “Anything for a Buck” was sentenced to a minimum mandatory 25 years in state prison. Jeffrey Lovell Stanton, 43, was found guilty of trafficking in illegal drugs and sentenced by Judge Terry Terrell. 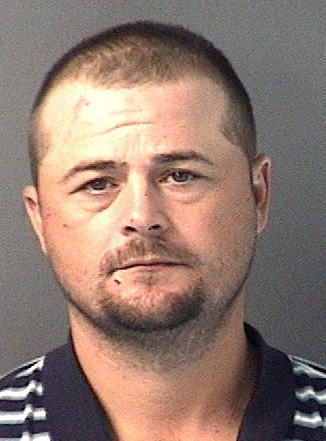 Stanton was arrested as part of the “Anything for a Buck” storefront operation by the Bureau of Alcohol, Tobacco, Firearms, and Explosives, the Escambia County Sheriff’s Office, and other law enforcement agencies as well as the First Circuit State Attorneys Office. The operation recovered over 270 firearms, as well as drugs and stolen property ranging from jewelry, tools, cameras, and other electronic devices. A total of 75 people were arrested in connection with the undercover operation. On September 14, 2011, Jeffrey Stanton went into the undercover storefront and sold the undercover officers a trafficking amount of hydrocodone pills. Jeffrey Stanton has 10 more cases pending in connection with this operation. Of the pending cases, he faces a one 25-year minimum mandatory sentence and multiple 15-year minimum mandatory sentences for drug trafficking charges. The Northview High School Chiefs hope the third time is the charm tonight as they travel to Liberty County in the 1A state semifinal game. For the Chiefs, it’s the third consecutive trip to the state semifinal game, falling short last year to Chipley 25-21 and losing to Trinity Christian 49-14 in 2010. It’s the third overall appearance in the semi’s for Liberty County. The Bulldogs lost at the semifinal level in 1998 and lost in the state championship game in 1995. The Bulldogs are 10-2 headed into tonight’s matchup. They have won nine in a row and have not lost a game at home this year. The Northview Chiefs are 9-3. Their only losses have come at the hands of much larger schools with strong programs — Class 5A West Florida (10-1), Class 5A Gulf Breeze (7-4) and Class 4A Marianna (8-2). Up until last week, the Chiefs had destroyed all 1A opponents this year by an average of five touchdowns. 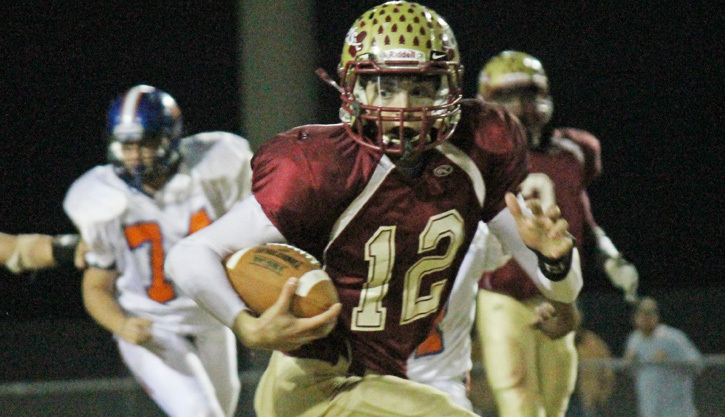 But last Friday night, the trip to the semi’s came down to a 34-28 overtime win over Freeport. 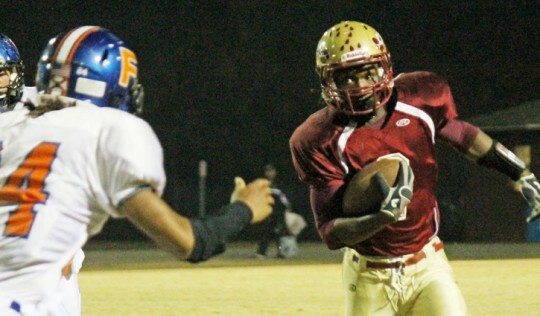 The CBS Sports website MaxPreps.com projects Northview to win 28-22 tonight. Live updates will be posted tonight on the NorthEscambia.com Facebook page. Click here to “Like” the page now and subscribe to the page updates. Kick off for tonight’s game is 7:30 Eastern time (that’s 6:30 Central/local North Escambia time). Liberty County High School is located in Bristol, Florida. The main stadium entrance is located on Harvell Street. For directions, click here and enter your starting address. Admission to the game is $9 for everyone with no passes. The 1A state championship game, featuring the winner of tonight’s Northview at Liberty County winner, will kick off at 7:07 p.m. on Friday, December 7 in Orlando’s Citrus Bowl. A Molino man recently released from prison is facing multiple felony charges for writing checks that were reported stolen in Santa Rosa County. Brandon David Edmonson, 32, was charged with three felony counts of dealing in stolen property and three felony counts of uttering a forged instrument. He remains in the Escambia County Jail with bond set at $30,000. The checks were reported October 25 as being stolen during a residential burglary in Santa Rosa County. Edmonson allegedly wrote three of the checks totaling $725 to a Cedartown Road resident for “driving him around”. The victim cashed the checks at her credit union, took out the amount owed to her for gas, and returned the remainder in cash to Edmonson, according to an Escambia County Sheriff’s Office arrest report. Three additional checks were made payable to a bar in Milton, and a fourth was made payable to a second individual. According to Department of Corrections records, Edmonson was released from state prison in April after serving a year and a day for petit theft third conviction. Gov. Rick Scott’s effort to get colleges to offer $10,000 bachelor’s degrees “is not a serious policy” and will be “perceived as a gimmick,” the vice president of the state Board of Education wrote in a letter to Scott. “Respectfully, I think that you have been provided with very poor advice on this portion of you plan,” Roberto Martinez wrote to Scott, asking him to work with the board on an alternative idea for making college more affordable – and to consider providing more state help. Scott has challenged the state colleges – formerly known as community colleges but many of which now offer four-year degrees – to come up with ways to offer a four-year bachelor’s degree for under $10,000. More than half of the 28 state colleges have said they will at least consider the idea. As it writes 8,000 new policies every week, Citizens Property Insurance Corp. will soon do a better job of funneling policies into the private market, the state-backed insurer’s president promised Florida business leaders Thursday. Speaking at a Florida Chamber of Commerce insurance summit, Citizens President Barry Gilway said he will brief Citizens’ board of governors in December about an effort that would require Citizens to try to place policies with private carriers before issuing policies itself. Gilway said the company needs to be more aggressive in brokering policies because most Citizens policyholders are not aware that their lower monthly premiums are offset by assessments that will be levied on their policies in the event of a major storm. “I think there is a way … to come up with an overall concept and approach that basically makes sure that every single policy gets shopped to every interested company before it enters the system,” Gilway said. Regardless of those efforts, Gilway acknowledged that as long as Citizens’ rates remain lower than private carriers, the market will continue to drive customers to the company, even if Citizens’ coverage is not as good as most of its competitors. As the state’s largest private insurer, with nearly 1.5 million policies, Citizens has been under increasing pressure from lawmakers and Gov. Rick Scott to reduce its role. In response, the insurer has rolled back coverage protections and reduced discounts to homeowners who make hurricane improvements. The brokering program is the latest in a series of steps being taken by the agency to limit its exposure. For example, the company’s underwriting committee rejected a proposal to reinstate coverage that was discontinued for secondary structures such as screened porches and detached buildings. Some policyholders have complained that the lack of coverage is preventing them locating their mobile homes in certain communities.